Redesigned for 2018, Subaru Crosstrek is the second generation of the diminutive crossover five-passenger hatch. With its superb all-wheel-drive system, a raised suspension, and Subaru's rally experience, the Crosstrek is a good car for gravel roads, primitive two-tracks and nasty weather. In fact, the 2018 Crosstrek boasts a new platform, slightly longer wheelbase, and raised suspension. Refinement has improved, and creature comforts are more appealing. Maximum cargo capacity has grown a bit, helped by a slightly wider hatch opening. More sound-deadening material has been added, helping to ease the Crosstrek toward the mainstream small-crossover/wagon category. 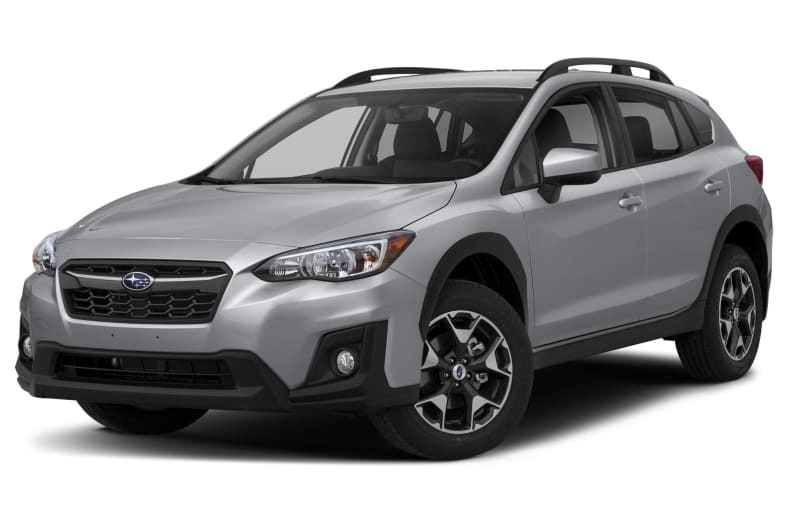 At a glance, the reworked Crosstrek doesn't look much different, however. And our first impression is of an old-fashioned car, with a traditional key, traditional handbrake lever, and a traditional clutch pedal to go with a traditional manual gearbox. The suspension feels soft, with lots of travel. It leans in corners, the nose dives under braking, the rear squats under acceleration. We like it and would choose it for wicked conditions or unpaved roads. Three trim levels are offered: base 2.0i, Premium, and top-of-the-line Limited. Though the Crosstrek shares its basic structure and many body panels with the Impreza, it rides higher, with a ground clearance of 8.7 inches. Subaru's direct-injected 2.0-liter, horizontally opposed four-cylinder engine has gained 4 horsepower, now rated at 152. The flat-4 layout of the engine results in a lower center of gravity and a lower hoodline than is possible with a conventional, upright inline-4. Most Crosstreks use a continuously variable transmission (CVT), now available in base trim. Crosstrek 2.0 and Crosstrek Premium models offer a 6-speed manual gearbox (previously 5-speed). In addition to a solid foundation, the Crosstrek may be equipped with Subaru's EyeSight suite of advanced safety features. Optional for Premium and Limited trim levels with the CVT, the EyeSight group uses a forward-facing camera and includes forward collision warning with automatic emergency braking, active lane control, adaptive cruise control, and individual tire-pressure monitoring. Limited models include blind-spot monitoring with rear cross-traffic alert. Newly-available steering-responsive headlights can illuminate curves ahead.